I read an article this week that re-ignited all my deep feelings about the ups and downs of my time as a foster carer. The writer, who is herself care-experienced, was expressing dismay at the desire of some foster carers to seek employment rights. Please do go and read it here - the views of those who have lived their lives in our care system need to be heard. They need to be heard, even if they are just one side of the story, even if they upset us, even if they destroy our cherished notions of how the world works. The basic premise of the article is that children need foster carers who will be there for them, who will make them part of their family, who see them as much more than a 'job' and who see their care as a joy, not a 'career'. I wholeheartedly agree. I couldn't agree more in fact. I don't like to see hoardings advertising a 'career' in fostering either. Equally I'm not keen on those adverts that imply that having a spare room is basically the only asset you'll need as a foster carer. I can easily see that comments about foster carers needing holidays and 'rights' can sound heartless to young people who need security, nurture and, yes, love. But the truth is, while a child may just want a family, what the foster carer's agency expects from them is much more complex than that. Creating a family life for a child in care requires more than just basic parenting, however much we wish it could be otherwise. 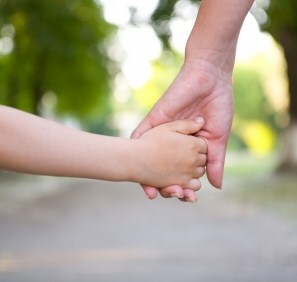 This post is not going to be a list of the ways in which being a foster carer, and especially a short-term carer, is not at all like being a regular parent. I've already written that post - it's here . . . oh, and here as well. And I'm not going to write about all the ways in which a foster carer's agency can mistreat them, take them for granted and frustrate their every effort to be the family a child really needs. You can read about that here if you're in the mood, and in many other cries of frustration scattered around my blog archives. I'm not going to write about that today because my mind is filled up by something that struck me when I read the article. This writer, a care-experienced person who presumably knows what it is like to live with a foster carer, thinks that fostering is basically just 'parenting'. I have thought about this a lot over the past day and have come to the conclusion that if any of the children I have fostered grows up to think that I was just 'parenting', and if my own adopted children think that all I do is 'parent', then I will be pretty happy with that. I will be happy because it will mean that their memories of their childhoods are not populated with social worker visits, reviews and meetings. It will mean that they have forgotten, or never noticed, the daily logs, the training I went on, the supervisions and appraisals I had or the nights I spent reading books and articles about brain development, trauma, attachment, developmental delay, sensory processing and all of the other things you suddenly have to become an expert on so that you can do 'parenting' with children who have experienced such loss and trauma. It will mean that they have not seen how carefully I minimised triggers, managed our environment or planned for our daily lives, our holidays and day trips so that they could be the source of good memories, rather than meltdown-fuelled catastrophes. It will mean that they don't remember how many emails and phone calls I had to make to get permission for them to come on that holiday with me, or how many times I advocated on their behalf with social workers, medical professionals, education professionals, or how many times I waited by the phone for news that would transform all of our lives. I hope that it would also mean that they lived through a time where they lived with one family but visited another three or more times each week and managed to come out of it feeling as though they had two families and not no family. I hope that it would mean that they never saw the behind-the-scenes work that went into making this happen. In short, I hope that it would mean that they have grown up believing themselves not to be 'damaged goods' who needed a 'therapist', but 'children' who needed 'parenting', for that is what they are. So yes, despite a huge part of me wanting to cry out to the heavens about the realities of being a foster carer, of welcoming children into your family, caring for them for a few weeks or months and then saying goodbye to them again, of giving your heart and soul to the children, and your life to the fostering agency, I find myself instead hoping that all the little ones that have been through my home will one day say, "It's just parenting."